It’s difficult to take much issue with architectural style on the Greek isles. The terracotta roofs, the cracked white walls, the blue pots and tiled-stairs mimicking the glittering ocean below … it works, plain and simple. But as with any tried-and-true aesthetic, the years have given way to a fair share of Party City-esque pastiche, and the look can feel a bit tired at times. Addressing that concern? 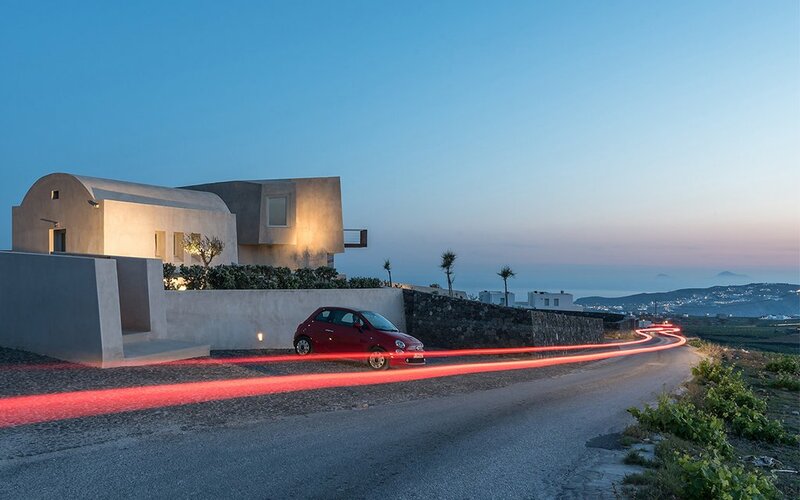 A summer home in Pyrgos on Santorini designed by Kapsimalis Architects that utilizes a very unexpected material for its exterior structure: reinforced concrete. 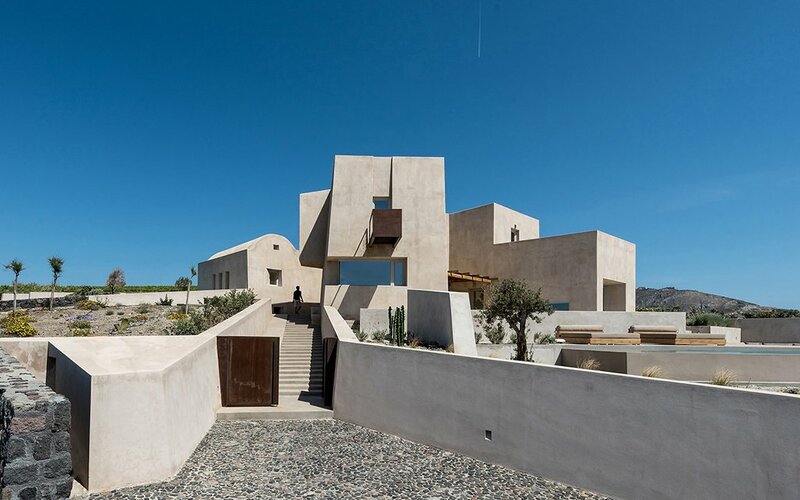 In line with recently opened modernist resorts like Olea and Istoria, the Pyrgos summer home puts to use an exterior palette of amenable earth tones, dulling those usual bright whites we expect from a Greek cliffside dwelling, almost like switching an iPhone to Night Shift. And for Pyrgos Kallistis, a hilltop village of fewer than 1,000 full-time inhabitants, the restraint reads particularly necessary. 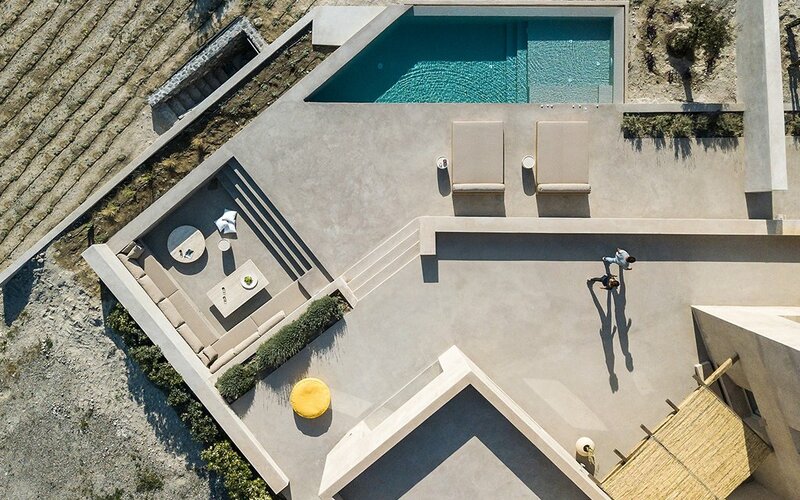 The “summer home” is actually three different residences, converging into an outdoor space with several passages, though from the outside it appears one gentle monolith. 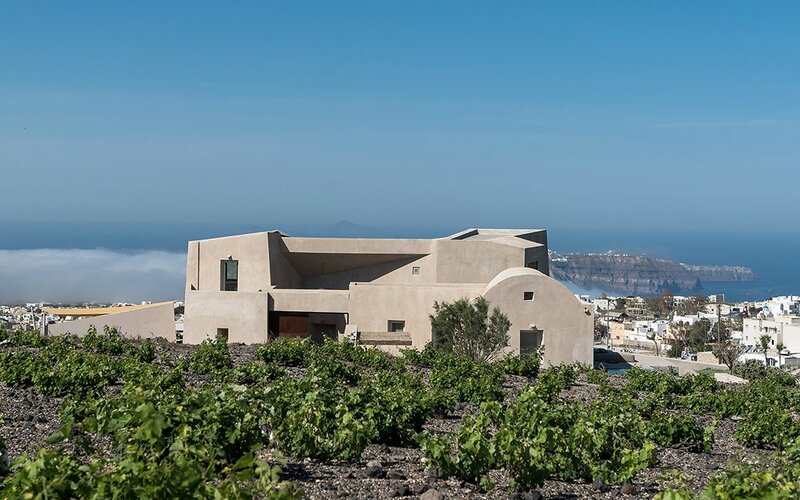 For inspiration, Kapsimalis reached back not into Greek Antiquity, but to island geology, crafting balconies from volcanic rock and walls from black stone before dotting the interior and exterior with natural woods, marble, rusted steel and cacti. And amid all that, somehow, the poolside loungers and outdoor couches look as comfortable as all get out. Find more information on the home here.